Apart from using good products and taking healthy diet, our skin sometimes need special treatments. This usually happens when our skin and body can't work on their own and needs external boost. 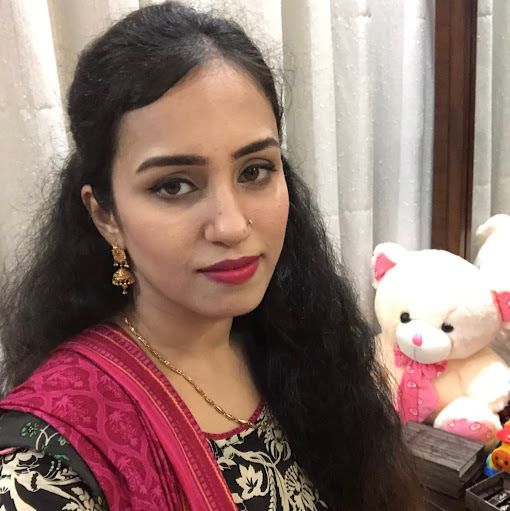 Some people feel hesitated and they are scared to undergo skin treatments but if you consult expert dermatologists, then, I guess there is no need to worry at all. In Pakistan, there are a large number of dermatologists who are offering their services for skin care. I have never given my reviews on any of them as I haven't visited any dermatology centre before. 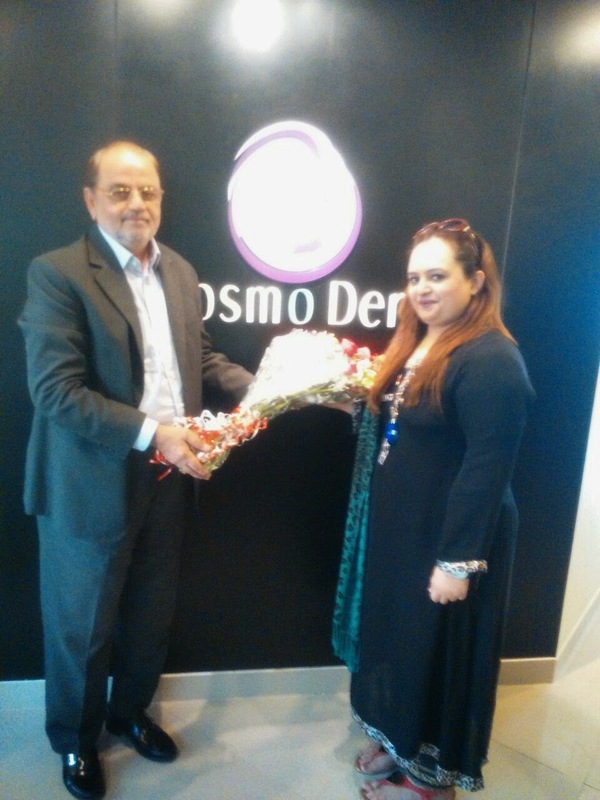 But today, I am going to share my reviews about Cosmo Derme, which has recently been launched in Pakistan. Last week, I got an invitation from Cosmo Derme to visit the institute and attend the workshop organized. 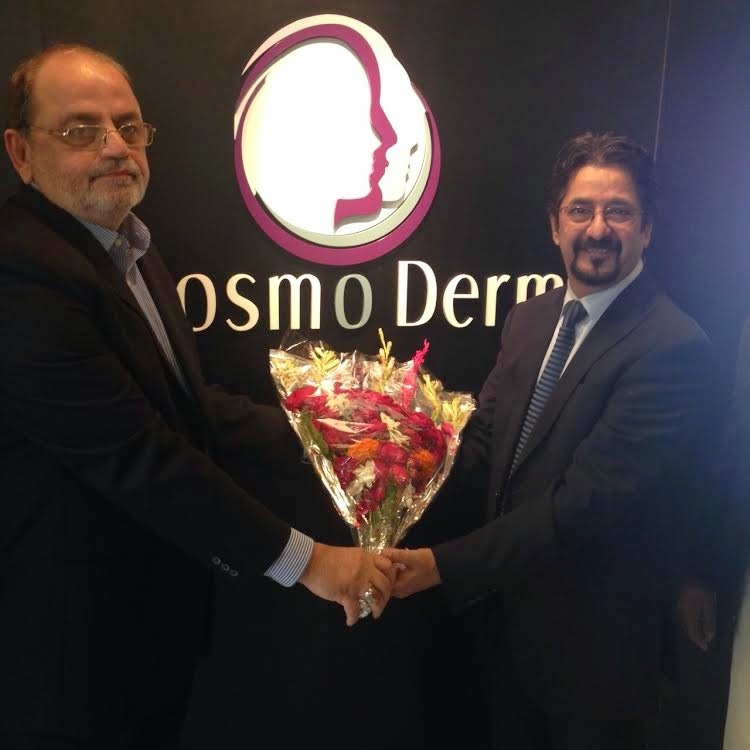 I took the privilege, because Cosmo Derme is the initiator to launch the new laser treatment technology in Pakistan. The workshop was conducted by its well-reputed dermatologists, Dr. S Gouhar Alam and Dr. Najjia Ashraf. I was highly honoured to be a part of such a knowledgeable event, where I was surrounded by experts from different walk of fields. 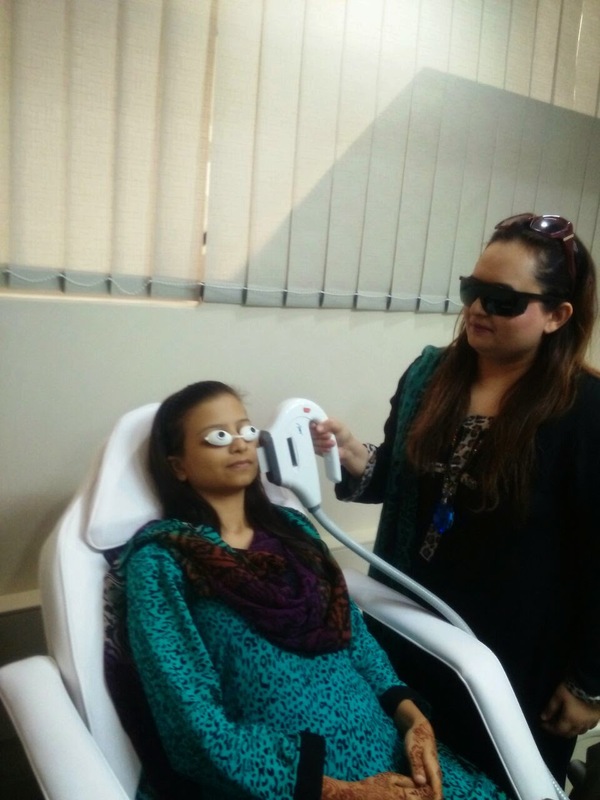 I met many skin specialists who were also excited to attend this workshop as it was about new skin treatments, which Cosmo Derme has launched in Pakistan. Aging spot skin treatment is not limited to treat the wrinkles and fine lines but it also covers other issues of sensitive skin like chemical peels and skin spots. This treatment is basically laser based and gives instant tightness and fairer skin. Fraction CO2 laser treatment is basically a skin resurfacing treatment which cures any scar or damage, by deeply penetrating the layers of skin and boosting the formation of new cells. This treatment involves very safe and controlled emission of laser beam, which has proved to be more effective as compared to surgical treatments. Diamond micro dermabrasion or better known as mechanical exfoliation is a very helpful treatment for those who who have dead skin cells, scars, wrinkles or any sort of discoloration. This treatment rejuvenates the surface of skin. It has long lasting results on the skin or we can say that this treatment will last for more than 10 years ! There are many other treatments offered by them including hair removal and acne treatment. I personally suggest Cosmo Derme and recommend to visit it, at least once, for proper examination by the experts as "prevention is better than cure". Experts are very friendly and helpful in dealing with clients.